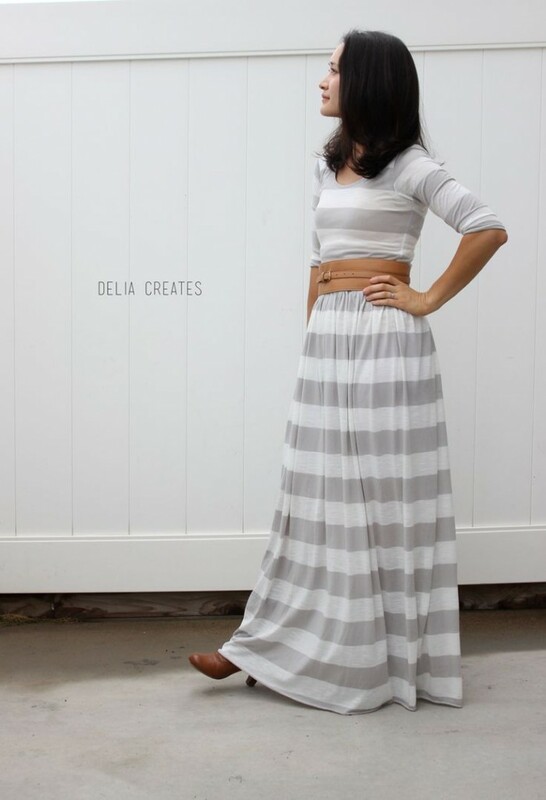 The striped gown looks awesome completed with a light brown leather belt. How about wearing a red maxi gown cinched at the waist with a metalized belt and covered with a light brown leather jacket. How about finishing your look with a statement necklace? I love the relaxed look that creates this jewellery. This necklace will elongate your silhouette making you look thinner. Here we see a shirt maxi-dress in pale cream beige color. 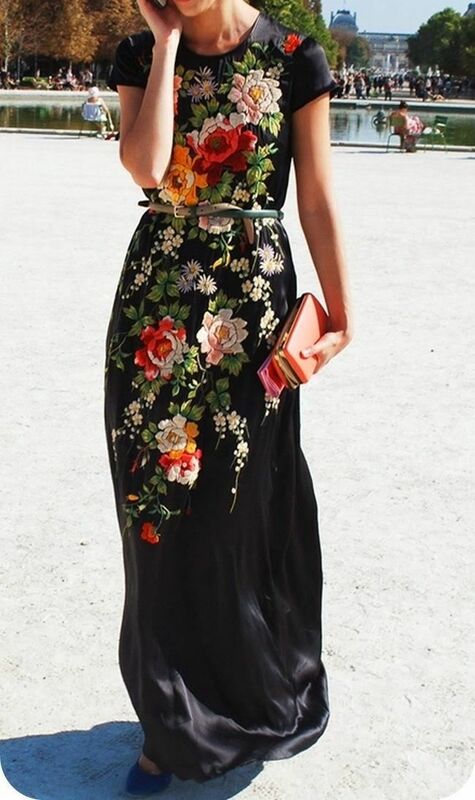 Love the leather belt that updates the whole look, making this lady look like a boho chic girl. You can try on your long frock with a denim shirt. It will complete your look, no matter what is the color, silhouette or style of long summer gown. The shirt will create a simpler everyday look. Love the black leather wrap jacket worn atop lightweight pale pink maxi gown. Just keep the casual style and go for a long grey frock completed with grey fedora and pale orange trainers. Love this robe-like semi-sheer lightweight design updated with brown suede booties. Neon fuchsia side long-slit dress looks marvelous embellished with golden cuffs and completed with black clutch. I love when women go for leather biker jacket. Just look how awesome ladies look in long gowns covered up with cool leather jackets. This look is ideal for evening events. The wide leather belt is a perfect choice for those ladies who are in love with relaxed and casual styles. Just imagine yourself wearing this accessory- you automatically will have a boho chic look. Speaking of shoes, then the best footwear is flat sandals. My favorite ones are gladiators (seen on the catwalks). It's comfortable and very attractive model. Go for vibrant prints. It will make you look fresh and completely different. These dresses are just flawless to wear. Thanks for sharing these fabulous ideas with us. I really appreciate that as this gives me some ideas for the occasion. I recommend all to see this at least one time. this is fabulous it gives me insight on what shoes and bag to wear with a long dress.